AT GMH YOU WILL FIND AN ENTIRE TEAM DEVOTED TO YOUR WELL BEING. For more than 30 years at Grew Morter & Hartye (GMH) our diverse staff and integrated treatment model have been serving the triangle region. That's why local doctors and professionals trust us to treat their referred patients with care. Our focus is on you and providing you with the services that are best for you. You will receive neurofeedback services our two expert practitioners, Deborah and David Planting. Meet the rest of the GMH staff here. 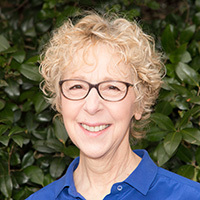 Deborah Planting has been in practice since 2000 and works with individuals 20 years and older using cognitive behavioral therapy and solution-focused techniques. She also introduced the science of neurofeedback to GMH and now supervises all neurofeedback services here in the clinic, including the work on peak performance for clients such as professionals, athletes, managers, entrepreneurs and others. Deborah has extensive training in brainwave biofeedback, a non-invasive brain-based training that is highly effective for peak performance and goal attainment. In conjunction with therapy, it is also used with children, adolescents, and adults to identify and resolve the symptoms of ADHD, anxiety, depression, sleep problems and more. Deborah discovered a particular talent for helping clients explore their own ideas and transform their visions into physical form while working as a goldsmith. She noticed how this skill plus her ability to help others creatively solve their own challenges seemed to have a therapeutic effect on people, which awakened her interest in the workings of the human mind. With her training in psychology, hypnosis and neurofeedback, she now focuses on helping clients work through negative mindstates and foster new behaviors to create a life of happiness and contentment that they once only imagined. For herself, these methods continue to be extremely helpful in maintaining balance in her life. Deborah’s goal-oriented approach helps you expand the areas of your life that are working well, while paying attention to various ways that specific issues can be resolved. With her guidance you learn to replace unproductive thoughts and actions with those that will contribute to your well-being and self confidence. Emphasis is also placed on the use of mindfulness and breathing techniques. Deborah is also a Certified Clinical Hypnotherapist. Hypnotherapy is especially helpful to enhance traditional therapy for both specific issues and for general well-being. She has also used it extensively with cancer patients to help relieve their symptoms and reduce anxiety. Each individual has a remarkable potential for change. I work with you to become aware of the strengths that you already have and learn to cherish and respect them. You can then build on these resources to reach your goals. Naturally you want to feel better and so I am dedicated to working with you to achieve the level of comfort and contentment that arises when you overcome anxieties and deal effectively with life changes. Life is not something to be endured but to be experienced and enjoyed. My greatest hope is that even if other therapies have not been able to produce the change you are seeking, together we will flip on the ‘light bulb’ as you discover a greater sense of confidence in your ability to handle future situations. Once things become ‘unstuck’ I would be honored to be your biggest cheerleader. Featured in a Dutch television documentary about the treatment of burnout. Wrote an article in a Dutch magazine about exploring solution-focused methods in working with adolescents. David O. Planting, M.A. has been working with GMH since 2012. He works with children and adults using neurofeedback. Neurofeedback has been effectively used to treat ADHD for 30 years. In the last 20 years, neurofeedback has been used to effectively treat dyslexia, PTSD, Asperger’s/autism spectrum disorders, stroke, head injury, anxiety, depression, sleep disorders, seizures, chronic pain, and bipolar disorder. David grew up in the Netherlands and, after having pursued a professional tennis career, received a scholarship at Lynn University. He holds a bachelor's degree in child psychology and a master's degree in sport and exercise psychology with a specialization in peak performance. He has done extensive training in neurofeedback techniques and applies these to help ameliorate clinical symptoms and improve performance. 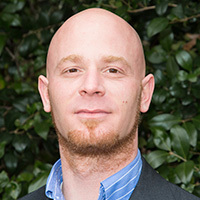 Besides providing neurofeedback and working as a tennis coach to some of the top juniors in the state, he is also a research associate at UNC at Chapel Hill, where he conducts research on neurofeedback as a means to improve physician's performance and reduce symptoms of physician burn-out. David believes that neurofeedback is an exciting and revolutionary approach that emphasizes treating symptoms at the source. He also believes that this non-invasive form of treatment has tremendous potential in regards to enhancing everyday functioning. Specialty training in neurofeedback with Michael Cohen, President of The Center for Brain Training; and Ed Hamlin, Ph.D., founder and clinical director of the Center for the Advancement of Human Potential and lead instructor for EEG Spectrum International; and Bill Scott, CEO of BrainPaint, considered one of the leading figures in the field of neurofeedback.